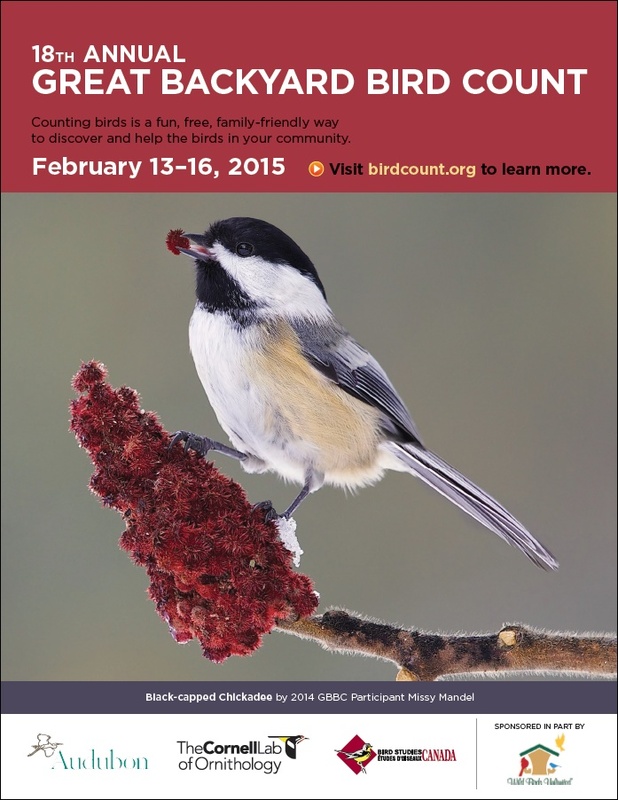 Join us for our third year participating in the Great Backyard Bird Count at the Kimlin Cider Mill! We will spend about an hour in the morning at the Mill, counting the birds that we see. You don’t need to be good at identifying birds — a trained ornithologist will be present, so you can take this opportunity to learn. If you want to participate, contact us and we will give you the details! This entry was posted in Uncategorized on January 23, 2015 by cidermillfriends.